PRICED TO MOVE $300 below Kelley Blue Book!, EPA 26 MPG Hwy/18 MPG City! w/Tech trim. CARFAX 1-Owner. Moonroof, Nav System, Heated Leather Seats, Third Row Seat, Rear Air, Power Liftgate, Aluminum Wheels, All Wheel Drive, Edmunds.com explains Interior storage is excellent, with big cupholders and door bins, plus a deep center bin that can hold a small purse or tablet.. CLICK ME! KEY FEATURES INCLUDE Leather Seats, Third Row Seat, Navigation, Sunroof, All Wheel Drive, Power Liftgate, Rear Air, Heated Driver Seat, Back-Up Camera, Premium Sound System, Satellite Radio, iPod/MP3 Input, Bluetooth, Aluminum Wheels, Keyless Start. Rear Spoiler, MP3 Player, Privacy Glass, Keyless Entry, Remote Trunk Release. A GREAT TIME TO BUY This MDX is priced $300 below Kelley Blue Book. WHO WE ARE Shop with confidence at Lyle Pearson's! Every pre-owned vehicle undergoes a comprehensive inspection in our service department before being offered for sale. A free Carfax report is offered on line and in the showroom, and our lowest price is clearly marked on every vehicle on the lot. Come see us on line or in person today! Pricing analysis performed on 4/9/2019. Fuel economy calculations based on original manufacturer data for trim engine configuration. Please confirm the accuracy of the included equipment by calling us prior to purchase. REDUCED FROM $27,900!, EPA 26 MPG Hwy/18 MPG City! CARFAX 1-Owner. MDX trim, Dark Cherry Pearl exterior and Parchment interior. Moonroof, Third Row Seat, Heated Leather Seats, Back-Up Camera, Satellite Radio, Rear Air, Aluminum Wheels, All Wheel Drive, Power Liftgate, Edmunds.com's review says Interior storage is excellent, with big cupholders and door bins, plus a deep center bin that can hold a small purse or tablet.. READ MORE! KEY FEATURES INCLUDE Leather Seats, Third Row Seat, Sunroof, All Wheel Drive, Power Liftgate, Rear Air, Heated Driver Seat, Back-Up Camera, Satellite Radio, iPod/MP3 Input, Bluetooth, CD Player, Aluminum Wheels, Keyless Start, Dual Zone A/C Acura MDX with Dark Cherry Pearl exterior and Parchment interior features a V6 Cylinder Engine with 290 HP at 6200 RPM*. Rear Spoiler, MP3 Player, Remote Trunk Release, Privacy Glass, Keyless Entry. EXPERTS CONCLUDE Edmunds.com explains Interior storage is excellent, with big cupholders and door bins, plus a deep center bin that can hold a small purse or tablet.. AFFORDABLE Was $27,900. 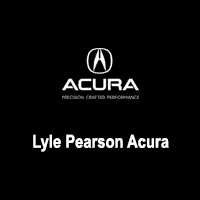 BUY FROM AN AWARD WINNING DEALER Shop with confidence at Lyle Pearson's! Every pre-owned vehicle undergoes a comprehensive inspection in our service department before being offered for sale. A free Carfax report is offered on line and in the showroom, and our lowest price is clearly marked on every vehicle on the lot. Come see us on line or in person today! Pricing analysis performed on 4/17/2019. Horsepower calculations based on trim engine configuration. Fuel economy calculations based on original manufacturer data for trim engine configuration. Please confirm the accuracy of the included equipment by calling us prior to purchase. Lunar Silver Metallic exterior and Ebony interior, MDX trim. Acura Certified, CARFAX 1-Owner, GREAT MILES 18,641! PRICE DROP FROM $39,900, PRICED TO MOVE $2,300 below Kelley Blue Book!, FUEL EFFICIENT 26 MPG Hwy/18 MPG City! Moonroof, Third Row Seat, Heated Leather Seats, Back-Up Camera, Satellite Radio, Rear Air, Aluminum Wheels, All Wheel Drive, Power Liftgate. CLICK ME! KEY FEATURES INCLUDE Leather Seats, Third Row Seat, Sunroof, All Wheel Drive, Power Liftgate, Rear Air, Heated Driver Seat, Back-Up Camera, Satellite Radio, iPod/MP3 Input, Bluetooth, CD Player, Aluminum Wheels, Keyless Start, Dual Zone A/C. Acura MDX with Lunar Silver Metallic exterior and Ebony interior features a V6 Cylinder Engine with 290 HP at 6200 RPM*. Rear Spoiler, MP3 Player, Keyless Entry, Privacy Glass, Remote Trunk Release. Edmunds.com's review says The MDX's V6 is a smooth-revving engine with a surprisingly nice snarl when you bury your foot in the accelerator.. PRICED TO MOVE Reduced from $39,900. This MDX is priced $2,300 below Kelley Blue Book. SHOP WITH CONFIDENCE Balance of original 7-year/100,000-Mile Powertrain Warranty, Additional 1-year/12,000-mile Non-Powertrain Warranty, 182 point inspection, 24-Hour Roadside Assistance, Trip-Interruption Services, Emergency Fuel Delivery, Emergency lock out service, 24-hour Acura dealer locator WHY BUY FROM US Shop with confidence at Lyle Pearson's! Every pre-owned vehicle undergoes a comprehensive inspection in our service department before being offered for sale. A free Carfax report is offered on line and in the showroom, and our lowest price is clearly marked on every vehicle on the lot. Come see us on line or in person today! Pricing analysis performed on 4/17/2019. Horsepower calculations based on trim engine configuration. Fuel economy calculations based on original manufacturer data for trim engine configuration. Please confirm the accuracy of the included equipment by calling us prior to purchase. CARFAX 1-Owner, Acura Certified. $300 below Kelley Blue Book!, EPA 27 MPG Hwy/19 MPG City! w/Advance Pkg trim, White Diamond Pearl exterior and Parchment interior. Nav System, Heated/Cooled Leather Seats, Moonroof, Back-Up Camera, Premium Sound System, Aluminum Wheels, All Wheel Drive, Power Liftgate. AND MORE! KEY FEATURES INCLUDE Leather Seats, Navigation, Sunroof, All Wheel Drive, Power Liftgate, Heated Driver Seat, Cooled Driver Seat, Back-Up Camera, Premium Sound System, Satellite Radio, iPod/MP3 Input, Bluetooth, Aluminum Wheels, Remote Engine Start, Dual Zone A/C Acura w/Advance Pkg with White Diamond Pearl exterior and Parchment interior features a V6 Cylinder Engine with 279 HP at 6200 RPM*. Rear Spoiler, MP3 Player, Remote Trunk Release, Privacy Glass, Keyless Entry. EXPERTS RAVE KBB.com explains Acura's RDX compact-crossover SUV for 2018 has a proven reputation for luxury, reliability and performance. The RDX's reasonable price undercuts many competitors A GREAT TIME TO BUY This RDX is priced $300 below Kelley Blue Book. BUY WITH CONFIDENCE CARFAX 1-Owner Balance of original 7-year/100,000-Mile Powertrain Warranty, Additional 1-year/12,000-mile Non-Powertrain Warranty, 182 point inspection, 24-Hour Roadside Assistance, Trip-Interruption Services, Emergency Fuel Delivery, Emergency lock out service, 24-hour Acura dealer locator VISIT US TODAY Shop with confidence at Lyle Pearson's! Every pre-owned vehicle undergoes a comprehensive inspection in our service department before being offered for sale. A free Carfax report is offered on line and in the showroom, and our lowest price is clearly marked on every vehicle on the lot. Come see us on line or in person today! Pricing analysis performed on 4/20/2019. Horsepower calculations based on trim engine configuration. Fuel economy calculations based on original manufacturer data for trim engine configuration. Please confirm the accuracy of the included equipment by calling us prior to purchase. WAS $41,900, EPA 27 MPG Hwy/19 MPG City! CARFAX 1-Owner, Acura Certified, LOW MILES - 88! w/Advance Pkg trim. Navigation, Sunroof, Heated/Cooled Leather Seats, Back-Up Camera, Premium Sound System, Alloy Wheels, All Wheel Drive, Power Liftgate, Acura's RDX compact-crossover SUV for 2018 has a proven reputation for luxury, reliability and performance...The RDX's reasonable price undercuts many competitors, as does its excellent resale history. -KBB.com. AND MORE! KEY FEATURES INCLUDE Leather Seats, Navigation, Sunroof, All Wheel Drive, Power Liftgate, Heated Driver Seat, Cooled Driver Seat, Back-Up Camera, Premium Sound System, Satellite Radio, iPod/MP3 Input, Bluetooth, Aluminum Wheels, Remote Engine Start, Dual Zone A/C Acura w/Advance Pkg with Lunar Silver Metallic exterior and Ebony interior features a V6 Cylinder Engine with 279 HP at 6200 RPM*. Rear Spoiler, MP3 Player, Remote Trunk Release, Privacy Glass, Keyless Entry. PRICED TO MOVE Was $41,900. SHOP WITH CONFIDENCE Balance of original 7-year/100,000-Mile Powertrain Warranty, Additional 1-year/12,000-mile Non-Powertrain Warranty, 182 point inspection, 24-Hour Roadside Assistance, Trip-Interruption Services, Emergency Fuel Delivery, Emergency lock out service, 24-hour Acura dealer locator VISIT US TODAY Shop with confidence at Lyle Pearson's! Every pre-owned vehicle undergoes a comprehensive inspection in our service department before being offered for sale. A free Carfax report is offered on line and in the showroom, and our lowest price is clearly marked on every vehicle on the lot. Come see us on line or in person today! Pricing analysis performed on 4/17/2019. Horsepower calculations based on trim engine configuration. Fuel economy calculations based on original manufacturer data for trim engine configuration. Please confirm the accuracy of the included equipment by calling us prior to purchase. CARFAX 1-Owner, Acura Certified, ONLY 3,055 Miles! w/Advance Pkg trim, Modern Steel Metallic exterior and Ebony interior. FUEL EFFICIENT 27 MPG Hwy/21 MPG City! NAV, Sunroof, Heated Leather Seats, Power Liftgate, Heated Rear Seat, Panoramic Roof, Alloy Wheels, Turbo, All Wheel Drive, Edmunds.com explains No matter what speed, these brakes inspire confidence thanks to predictable engagement and good feel.. READ MORE! KEY FEATURES INCLUDE Leather Seats, Navigation, Sunroof, Panoramic Roof, All Wheel Drive, Power Liftgate, Heated Driver Seat, Heated Rear Seat, Cooled Driver Seat, Back-Up Camera, Turbocharged, Premium Sound System, Satellite Radio, iPod/MP3 Input, Onboard Communications System Acura w/Advance Pkg with Modern Steel Metallic exterior and Ebony interior features a 4 Cylinder Engine with 272 HP at 6500 RPM*. Rear Spoiler, MP3 Player, Remote Trunk Release, Keyless Entry, Privacy Glass. VEHICLE REVIEWS Edmunds.com's review says No matter what speed, these brakes inspire confidence thanks to predictable engagement and good feel.. SHOP WITH CONFIDENCE CARFAX 1-Owner Balance of original 7-year/100,000-Mile Powertrain Warranty, Additional 1-year/12,000-mile Non-Powertrain Warranty, 182 point inspection, 24-Hour Roadside Assistance, Trip-Interruption Services, Emergency Fuel Delivery, Emergency lock out service, 24-hour Acura dealer locator WHO WE ARE Shop with confidence at Lyle Pearson's! Every pre-owned vehicle undergoes a comprehensive inspection in our service department before being offered for sale. A free Carfax report is offered on line and in the showroom, and our lowest price is clearly marked on every vehicle on the lot. Come see us on line or in person today! Horsepower calculations based on trim engine configuration. Fuel economy calculations based on original manufacturer data for trim engine configuration. Please confirm the accuracy of the included equipment by calling us prior to purchase. Acura Certified, CARFAX 1-Owner, LOW MILES - 5,516! w/Technology Pkg trim. WAS $46,400, FUEL EFFICIENT 26 MPG Hwy/18 MPG City! Sunroof, NAV, Heated Leather Seats, 3rd Row Seat, Rear Air, Power Liftgate, Alloy Wheels, All Wheel Drive, KBB.com explains If you're looking for a family-friendly 3-row SUV with strong performance, the highest safety ratings and a luxurious interior packed with technology, you'll like the 2018 Acura MDX.. CLICK ME! KEY FEATURES INCLUDE Leather Seats, Third Row Seat, Navigation, Sunroof, All Wheel Drive, Power Liftgate, Rear Air, Heated Driver Seat, Back-Up Camera, Premium Sound System, Satellite Radio, iPod/MP3 Input, Bluetooth, Aluminum Wheels, Remote Engine Start. Acura w/Technology Pkg with Crystal Black Pearl exterior and Ebony interior features a V6 Cylinder Engine with 290 HP at 6200 RPM*. Rear Spoiler, MP3 Player, Keyless Entry, Remote Trunk Release, Privacy Glass. PRICED TO MOVE Reduced from $46,400. SHOP WITH CONFIDENCE Balance of original 7-year/100,000-Mile Powertrain Warranty, Additional 1-year/12,000-mile Non-Powertrain Warranty, 182 point inspection, 24-Hour Roadside Assistance, Trip-Interruption Services, Emergency Fuel Delivery, Emergency lock out service, 24-hour Acura dealer locator WHY BUY FROM US Shop with confidence at Lyle Pearson's! Every pre-owned vehicle undergoes a comprehensive inspection in our service department before being offered for sale. A free Carfax report is offered on line and in the showroom, and our lowest price is clearly marked on every vehicle on the lot. Come see us on line or in person today! Horsepower calculations based on trim engine configuration. Fuel economy calculations based on original manufacturer data for trim engine configuration. Please confirm the accuracy of the included equipment by calling us prior to purchase. PRICE DROP FROM $47,900, $1,300 below Kelley Blue Book!, EPA 26 MPG Hwy/18 MPG City! CARFAX 1-Owner, Acura Certified, ONLY 7,212 Miles! Sunroof, NAV, 3rd Row Seat, Heated Leather Seats, DVD, Power Liftgate, Alloy Wheels, All Wheel Drive, KBB.com's review says If you're looking for a family-friendly 3-row SUV with strong performance, the highest safety ratings and a luxurious interior packed with technology, you'll like the 2018 Acura MDX.. CLICK NOW! KEY FEATURES INCLUDE Leather Seats, Third Row Seat, Navigation, DVD, Sunroof, All Wheel Drive, Power Liftgate, Rear Air, Heated Driver Seat, Heated Rear Seat, Back-Up Camera, Premium Sound System, Satellite Radio, iPod/MP3 Input, Bluetooth Rear Spoiler, MP3 Player, Rear Seat Audio Controls, Keyless Entry, Remote Trunk Release. AFFORDABILITY Reduced from $47,900. This MDX is priced $1,300 below Kelley Blue Book. BUY WITH CONFIDENCE Balance of original 7-year/100,000-Mile Powertrain Warranty, Additional 1-year/12,000-mile Non-Powertrain Warranty, 182 point inspection, 24-Hour Roadside Assistance, Trip-Interruption Services, Emergency Fuel Delivery, Emergency lock out service, 24-hour Acura dealer locator WHY BUY FROM US Shop with confidence at Lyle Pearson's! Every pre-owned vehicle undergoes a comprehensive inspection in our service department before being offered for sale. A free Carfax report is offered on line and in the showroom, and our lowest price is clearly marked on every vehicle on the lot. Come see us on line or in person today! Pricing analysis performed on 4/17/2019. Fuel economy calculations based on original manufacturer data for trim engine configuration. Please confirm the accuracy of the included equipment by calling us prior to purchase. SLE trim. VEHICLE SOLD AS-IS. REDUCED FROM $11,990!, $400 below Kelley Blue Book! 3rd Row Seat, CD Player, Flex Fuel, Dual Zone A/C, Onboard Communications System, Running Boards, Tow Hitch, SEATS, THIRD ROW 50/50 SPLIT-BENCH, Alloy Wheels, Rear Air, 4x4, Edmunds Consumers' Most Wanted SUV Under $45,000, Cargo space is where the Yukon XL excels. -newCarTestDrive.com. 5 Star Driver Front Crash Rating. READ MORE! KEY FEATURES INCLUDE 4x4, Rear Air, Running Boards, Flex Fuel, CD Player, Onboard Communications System, Trailer Hitch, Aluminum Wheels, Dual Zone A/C. OPTION PACKAGES SEATS, THIRD ROW 50/50 SPLIT-BENCH: with Custom Cloth, 2-passenger, removable, all-belts-to-seat. MP3 Player, Privacy Glass, Keyless Entry, Steering Wheel Controls, Electronic Stability Control. EXPERTS REPORT Edmunds.com's review says Completely overhauled for 2007. The most notable changes include a more spacious cabin with upgraded materials, a more powerful 5.3-liter V8, . Edmunds Consumers' Most Wanted SUV Under $45,000. 5 Star Driver Front Crash Rating. 5 Star Passenger Front Crash Rating. AFFORDABLE TO OWN Reduced from $11,990. This Yukon is priced $400 below Kelley Blue Book. MORE ABOUT US Shop with confidence at Lyle Pearson's! Every pre-owned vehicle undergoes a comprehensive inspection in our service department before being offered for sale. A free Carfax report is offered on line and in the showroom, and our lowest price is clearly marked on every vehicle on the lot. Come see us on line or in person today! Pricing analysis performed on 4/23/2019. Please confirm the accuracy of the included equipment by calling us prior to purchase. 2012 C300 Sport 4Matic all wheel drive sedan in Silver with Ash grey seats over black carpets. Clean trade in with 76000 miles. Well equipped including navigation system and back up camera, heated front seats, power tilt and slide moonroof, optional 18 inch AMG 7 spoke alloy wheels, trunk spoiler and more. Service history with us since new, and everything is up to date. CLICK ME! Given a complete inspection, serviced and detailed. Carfax reports pending recalls, with parts not yet available. Ask us for details. Call, or come by for a demonstration today! OPTION PACKAGES 18 AMG 7-SPOKE ALLOY WHEEL, COMAND SINGLE DISC PKG: COMAND HD-based navigation system w/3D map views, 7 color display, Gracenote media database, CD/DVD player, SD card slot, 10GB hard drive w/Music Register, voice control, HEATED FRONT SEATS, SIRIUSXM SATELLITE RADIO, REARVIEW CAMERA, BURL WALNUT WOOD TRIM. Keyless Entry, Steering Wheel Controls, Child Safety Locks, Electronic Stability Control, Heated Mirrors. VEHICLE REVIEWS CarAndDriver.com explains Available in Luxury or Sport trim PURCHASE WITH CONFIDENCE Balance of New Car Warranty plus 1 year/unlimited miles extended Limited Warranty, 24-Hour Roadside Assistance, Carfax Vehicle History Report, NO Deductible, Rigorous Inspection by Factory Certified Technicians, Exchange Privilege for 7 days or 500 miles, whichever comes first, Trip-Planning Services, Trip-Interruption Services MORE ABOUT US Shop with confidence at Lyle Pearson's! Every pre-owned vehicle undergoes a comprehensive inspection in our service department before being offered for sale. A free Carfax report is offered on line and in the showroom, and our lowest price is clearly marked on every vehicle on the lot. Come see us on line or in person today! Horsepower calculations based on trim engine configuration. Please confirm the accuracy of the included equipment by calling us prior to purchase.